Aegon Blue Square Re (BSR) has a superb opportunity for an Operations & Data Quality Analyst where you will be responsible for; the ensuring excellent service delivery of reinsurance administration, building strong relationships with internal business stakeholders and organizing the reinsurance data. Data Quality Management. To continuously improve, maintain and control data quality across all data types and be a quality champion within the business. work with relevant owners to drive through necessary actions. Process reinsurance statements & settlements. Reconciliations of sub-ledgers with general ledger and suspense account matching. Supporting the reinsurance tender process and reinsurer relationship management. Liaising with the other BSR teams to ensure effective treaty management. efficiently and that payment for valid claims is made to (re)insurer. Plan, prioritise, and adapt process, procedures and techniques to support overall business goals and strategic decisions. • Sharing knowledge with local operating units. The ideal candidate will be bachelor’s degree level educated, have had some exposure to (re)insurance in their career, as well as a track record in managing data. Accuracy and a thorough approach. Are you interested in joining our BSR team in The Hague? We look forward to receiving your resume and motivation letter. For more information about the role, you can contact, Anne van Busselen Talent Acquisition Manager at +31 (6) 23792726 or Danny Verboom at +31 (6) 57582807. 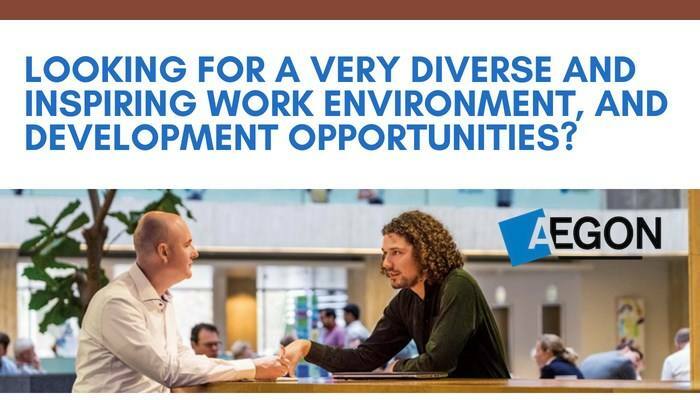 Please send your application for Operations & Data Quality Analyst at AEGON in The Hague including your CV via our website.